New York State troopers handed out 230 traffic tickets on the state's thruway during a recent five-day special enforcement of the "Move Over" law , four times the norm for a typical one-week span, said New York Gov. Andrew Cuomo. The enforcement, which ran from Monday, Nov. 14 to Friday, Nov. 18, was aimed at protecting law enforcement and emergency services personnel stopped along the roadway. Recent fatal crashes involving tow truck operators and highway workers have prompted Gov. 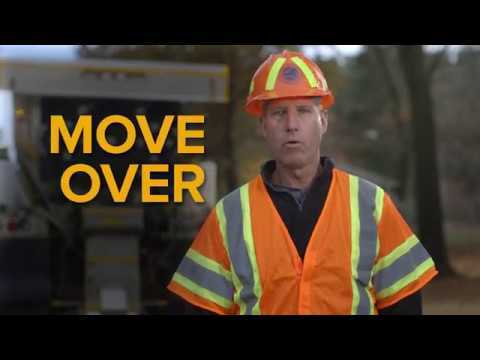 Andrew Cuomo to enact the campaign to raise awareness of the law, which requires drivers to move over when approaching law enforcement vehicles, fire trucks, ambulances, tow trucks, construction and maintenance vehicles stopped along the roadway. Officials pointed to an accident on Thanksgiving Day, when a state trooper was struck by a driver while investigating an accident on the Sprain Brook Parkway. The driver, 62-year old Xhevalin Lala of Yonkers, was charged with violating the “Move Over” law as well as DWAI and other traffic violations. The trooper suffered minor injuries.